Composed of archaic traditions and obsolete practices, and masterminded by the enemy of our souls, the spirit of religion seeks to keep individual believers and the Church stagnant and unaware of the call of the Holy Spirit for change. Although not always acknowledged, the religious spirit exerts tremendous control over minds and souls. This spirit was evident when the Pharisees failed to recognize the coming of Christ. 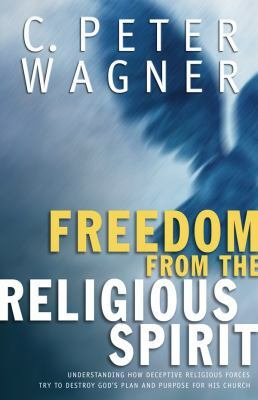 Today the spirit of religion can be so subtle that we are unaware of its impact, instead being deceived into believing that God is directing us.Wagner, C. Peter is the author of 'Freedom from the Religious Spirit ', published 2005 under ISBN 9780830736706 and ISBN 0830736700. Loading marketplace prices 9 copies from $3.93 How does the rental process work?